The Washington Nationals promote responsible drinking and positive fan behavior at Nationals Park. The Nationals Fan Code of Conduct and the details of the Nationals alcohol management plan that appear below ensure that fans have a safe and fun experience. Be a team player – restrict movement in the seating area to breaks in the action. A guest may only wear a face mask while seated in his or her ticketed seat. The ballpark staff has been instructed to work in unison with guests and to intervene when necessary to help ensure that the above expectations are met. Guests are encouraged to report any inappropriate behavior to the nearest guest experience representative, security guard or Guest Services staff member. Behavior in violation of the Guest Conduct Policy may result in the guest being ejected without refund, arrested by police, being subject to possible prosecution and/or having his/her NATS PLUS Membership and/or Season Plan(s) revoked. All NATS PLUS Members and Season Plan Holders are responsible for their conduct as well as the conduct of their guests and/or persons using their tickets. NATS PLUS Memberships and Season Plans, as well as Individual Game Tickets, are revocable licenses. 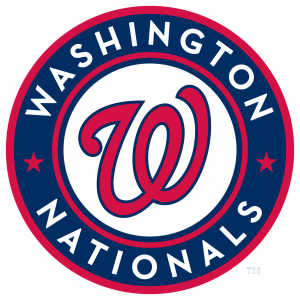 The Nationals reserve the right to revoke ticket privileges for any reason and at any time during the season. The Nationals will notify in writing the NATS PLUS Member or Season Plan Holder of record of any report of fan misconduct. To discreetly report unruly behavior or security issues during the game, fans are encouraged to text “NATS” along with a brief description of the issue and the location to 69050. The Nationals remind you that when celebrating with friends at Nationals Park, make sure you have a safe ride home. If you are a designated driver, visit the Designated Driver Kiosks behind the Washington Suites on the Main Concourse, behind Section 310 or any Guest Services location.